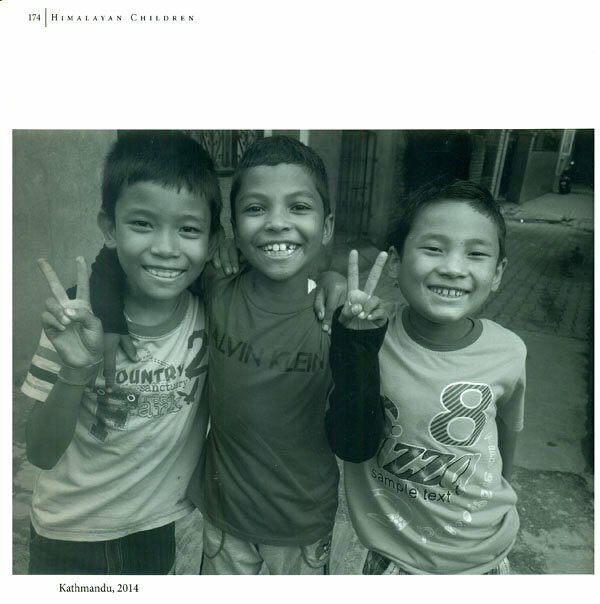 Himalayan Children gives an insight view about the fascinating world of children from Nepal, Sikkim and Pakistan. These children though have common dreams they grow up in different cultural environment. Fritz Berger, a well-known Swiss photographer has captured delight and troubles of kids in these pictures taken since 1973 in a very respectful manner. 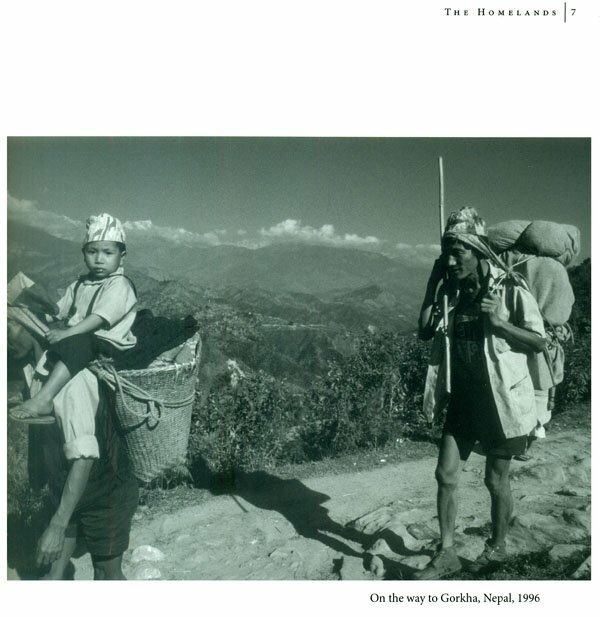 Fritz took most of these photos while working several years in Nepal in the 1970s and in the northern Pakistan in the 1980s. Married to a lady from Bhutia ethnic community in Sikkim in 1980, he has visited India many times. Fritz Berger was born in a farmer family south of Bern, Switzerland, in 1938. He was the third of eight children. After primary school, he undertook an apprenticeship as a horticulturist, and at the age of 24 commenced his career as an adviser for development projects - first in Greece, and then in Nepal and Pakistan. Fritz has written a number of articles about these projects, and made documentaries. In 1987, Fritz returned to Bern, and since then has worked as a freelance photographer. His passion is documenting people and their struggles in work and life. He has specialized in photo monitoring, that is, taking photographs again from the same spot at certain intervals, to show changes occurring in landscapes as a result of human encroachments and the impact of natural forces that becomes manifest in climate changes and so on. He has published a number of photo books in Greece, Nepal (Moments of Life and in the Shadow of Gaurishankar) and Switzerland, and has regularly organised exhibitions of his work. In Switzerland he has produced teaching materials on issues such as 'recycling' and 'Buddhism' and they are used as education materials at school level. Fritz has five children from his Swiss and Sikkimese wives, and four grandchildren. Nowadays, he lives in Sweden. Younglings of all species attract our interest and attention, as they are worthy of our love and affection. Human children are no exception. Innocent and curious looks of an infant, apprehensive but cautious approach of a toddler and the overconfident yet expectant carelessness of an adolescent, all look adorable to all discerning adults. Probably nature uses these qualities to motivate adults in every society to support the needs of the future generation. 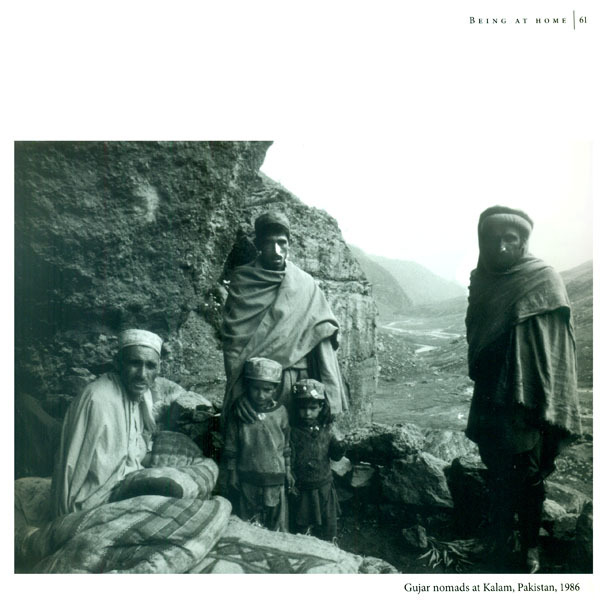 Fritz Berger’s book "Himalayan Children" has very carefully presented the visual records of the various dimensions of children’s lives in the Himalayan regions of Sikkim, Nepal and Pakistan. He has taken a life- cycle approach to childhood. His photographs visually describe the landscapes, and then move on to the human world where topics such as newborn care- practices, love and affection of parents, children in play with their indigenous toys, exploring their minuscule world and their homes, become the themes of life. 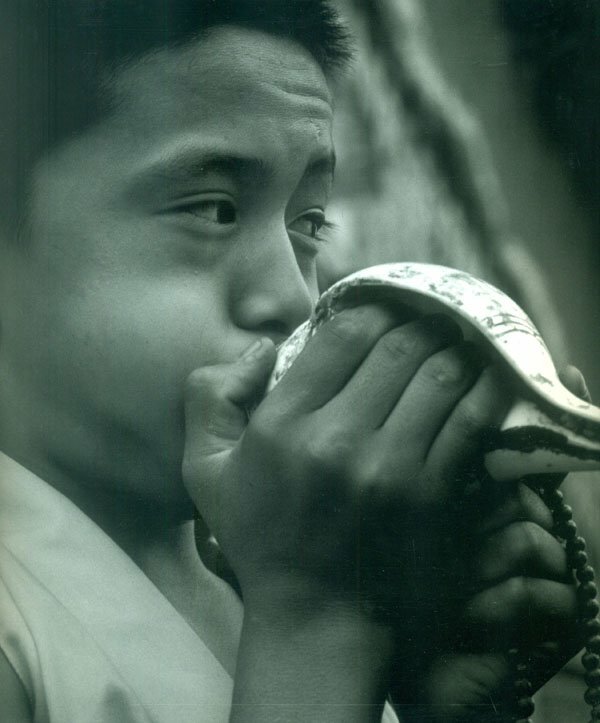 Photographs showing children in various stages of learning both in formal and informal situations vividly show us the kind of environment where these children live, indicating what opportunities they have missed. The important thing about this book is that the author has not overlooked the darker side of children’s lives in this part of the world. 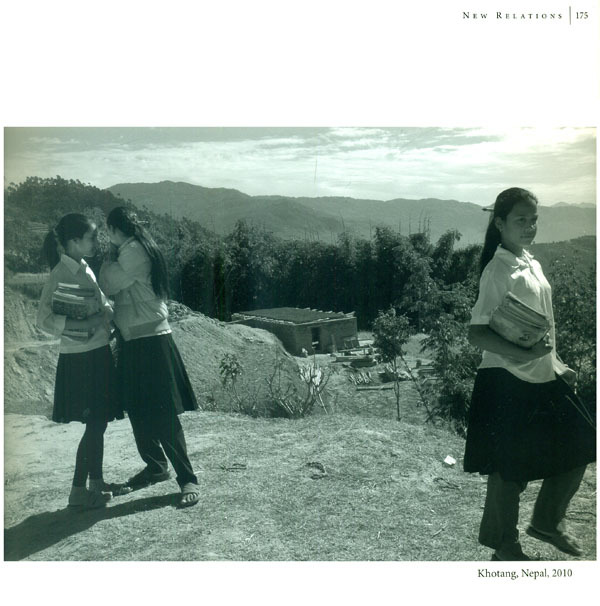 His photographs present a visual narrative of children living under difficult circumstances. He has also shown children making a bond with each other, and their relationship with religion. Finally, he has shown how the children approach the adulthood. 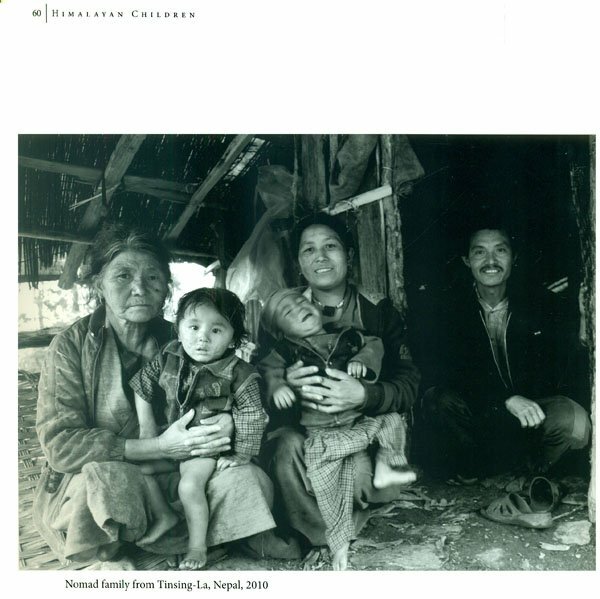 It is indeed a comprehensive visual record of the children living in the Himalayas. I was very happy to see the natural, open, and expressive looks of the children presented here. I congratulate Mr. Berger for the efforts he has put to capture these expressions. Mr. Berger’s presentation shows his compassion for the subject of his photography, and even empathy with them. He shows deep appreciation of the curiosity and creativity seen in the children. These photographs demonstrate a sense of respect for and understanding of the people in this area. At the same time, he is successful in highlighting the difficulties of living in a harsh environment where even the basic amenities of life required for comfortable living are non-existent. His strength is that he is nowhere patronizing and judgmental in his approach. 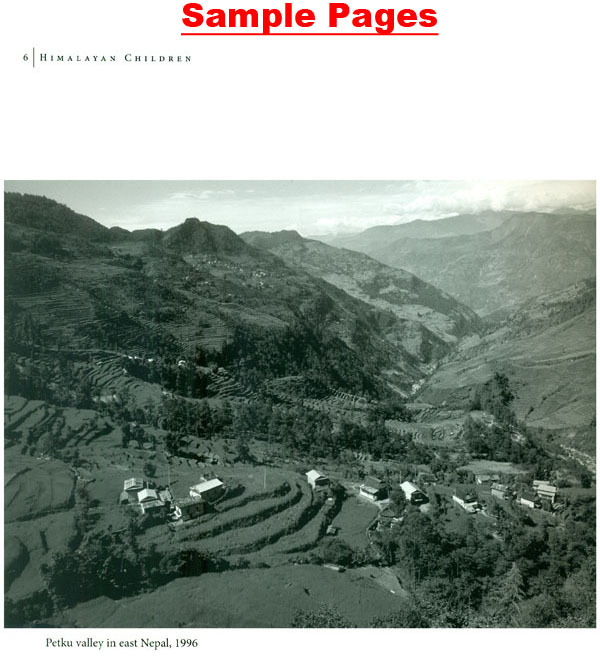 I advise everyone interested in the study of children and the people living in the Himalayan region to enjoy this original piece of work that is vibrant with creative imagination and skills. One of the first pictures I took after arriving in Kathmandu in 1973 was the scene of a group of children playing at the door of Newar house, where a man was seen smoking hookah beside a motorbike. More photos of children followed soon. They were bright smiling girl from the north of the Kathmandu Valley and a group of jolly children in Pokhara playing a Sarangi. I captured many more scenes like this. 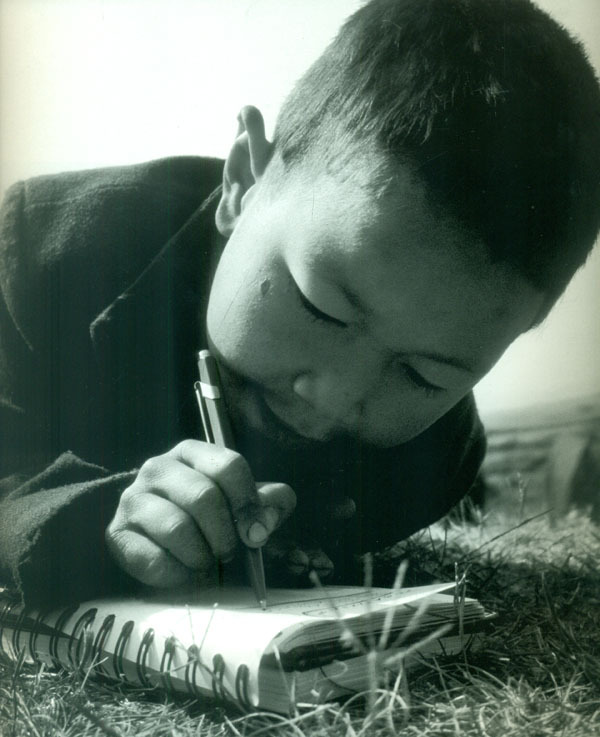 During my ten-years long work in Nepal and Pakistan, I took photos of many children. I must mention here that I photographed my own children too, but photographing local children has turned out to be a more interesting passion for me. Local children appeared very new, unusual and colorful to me. The bright and breezy faces of these innocent kids fascinated me from the very day I set my feet in Asia. Wherever I went I found a few, mostly a dozen, children with their dark eyes looking at me curiously. I found Nepali boys and girls very frank and open. But the little girls from Pakistan were mostly very shy, and they did not like to come to the front. As I took out the camera in my hand the bravest would start laughing while others would huddle together staring at the ground. When I let them have a look through the viewfinder they would be pleased. In the recent years, as they see their faces on the screen of the digital camera, they feel very delighted. Soon, I lost interest in taking photos of smiling children only. I started looking for the children in their actual lives, as I travelled along. And this, I confess, revealed to me other important aspects about their lives including those of their parents. First of all, I was stunned by these children’s self- confidence. Though uneducated, the hill children and youngsters had a sense of pride in them. They looked bold and confident. I found them to be very respectful and social towards their parents and strangers. Years later, I learned that this could have been the result of treating children in a human manner from the very beginning of the civilization here. The very category called ‘childhood’ was recognized in Europe only three to four hundred years back at the beginning of the industrial époque. While I was in Rowling in 1975, I could observe girls playing with carefully dressed dolls they had made themselves. 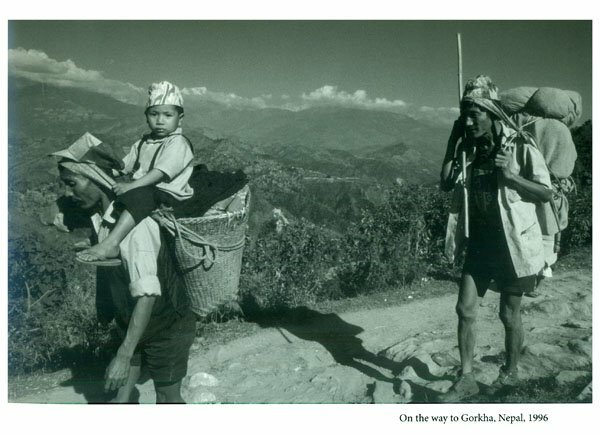 The dolls were made from the branches of pine tree, and were dressed according to the traditional Sherpa clothes. Such dolls reminded me the ones the girls from neighborhood made in my childhood days. I was so fascinated by these little playing cars that I purchased a series of them and took them back home to Switzerland to be used in workshops for school children. Finally, I deposited them in museums in Basel and Luzern. In the course of my travel to many parts of the world, I learned that children all over the world construct vehicles similar those shown in the book. To me it was very depressing moment to take pictures of the children left alone in the streets of cities. I found them living a miserable life by begging or collecting garbage. That even to toady children are exploited in construction sites, shops and factories is a very unacceptable matter. I have also included texts and brief captions to each picture so that the reader will enjoy the photos and develop his or her own thoughts about them. I believe readers and viewers will come to know many things about each picture in particular, and the children in the Himalayas in general. 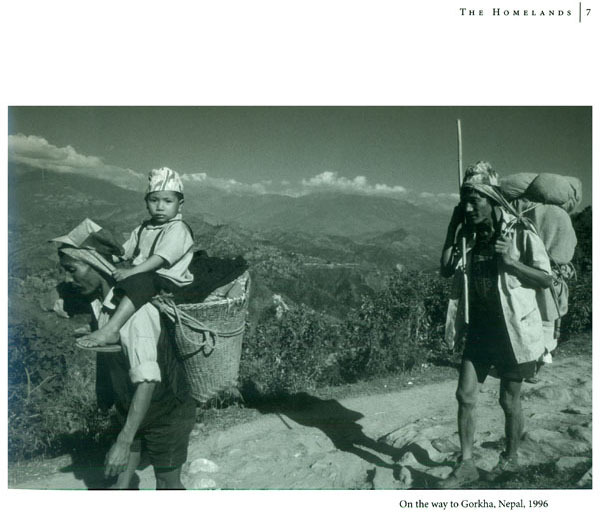 My intention is to show a broad spectrum of children’s life in the Himalayas, in the book. 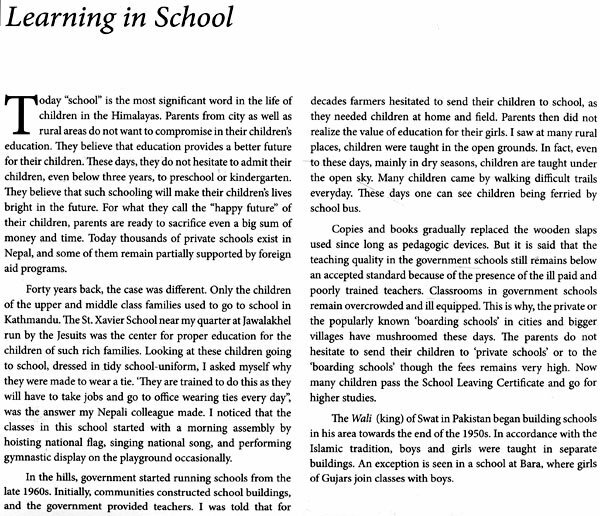 And I am confident that the readers looking carefully at each picture can share the life of the children growing up in Sikkim, Nepal and Pakistan. I dedicate this book to all the children from the Himalayas. And my heartiest wish is that the book will help the readers to develop a better understanding and respect for these children’s lives and families as well as their religions and cultures in this extremely beautiful part of the world. I thank Nadia for supporting me in selecting photos and helping me write the text. My thanks go to Dr. Ramesh Kant Adhikari for writing forward for the book. I thank Nilima Raut for her interest and support. I thank Bidur Dongol of Vajra Books for all his efforts and interest in publishing this book. My thanks go to Shiva Rijal for carefully editing the text, to Dongol Printers for the layout and photo preparations. Finally, I thank Archana Advertising Pvt. Ltd. from New Delhi for printing this book.